Discussion in 'iOS 7' started by katewes, Mar 11, 2014. Under today's story, "iOS 7.1 Makes the iPhone 4 Snappier", the reader-comments ranged far and wide on everything but the central issue of whether the iPhone 4 has gotten faster to the point of being acceptable again. So, in this post, can actual users of the iPhone 4 comment on whether iOS 7.1 finally makes them happy. Please, I request that there be no comments from people who have not used iOS 7.1 with an iPhone 4. For that sort of banter, please go to the original post. Yes. For example, I had transparency and motion off and it was laggy. Now with 7.1 I have transparency on and motion off and still everything is smooth. Camera loads faster and Safari scrolling is smoother. Definitely a good update for those staying with the iPhone 4 for at least one more year. Last night I upgraded directly from 6.1.3 to 7.1 on my iPhone 4. Regarding how well the phone operates (speed, smoothness, stability,etc.) this was mostly a lateral move. 7.1 was definitely a little herky jerky at first, but following some advice on the forum I used "reset all settings" and that seemed to speed things up significantly. I usually do a clean install but this seemed to work pretty well as a time-saving alternative. Some (but not all) of the apps seem to open a beat or two slower, but once anything is open it feels about the same. Memory management seems a little better, there's less refreshing of apps when I go back to them after a period of time. I haven't felt the need to reduce motion or increase contrast to improve performance, when I tried them out it seemed about the same. This is, however, my first long-term exposure to iOS7 (beyond occasionally using my friend's phones) and my early impressions are not good. Every time I look at it I feel like I'm using an un-finished beta/testing version of iOS6. It really feels like a step backward aesthetically and definitely doesn't seem to match the fit and finish of Mavericks on OSX. I'm sure I will adjust over time a little bit, but my initial reaction is that I vastly prefer the appearance of iOS6. It feels more mature, substantial, and unified thematically. It's night and day. I played around with an iPhone 4 on 7.1, and it's actually usuable again. Especially multitasking and memory management seems a lot better (besides the obviously improved animations), it seemed quite speedy just fiddling around and switching between apps. 7.1 still seems slower than 6. Its much better then any other iOS 7 update. But iOS 6 was faster. The test figures in the article confirm that 7.1 is slower than 6, but the question is, has 7.1 been sped up sufficiently that you'd now change your mind and recommend others to upgrade from 6 to 7.1? Not on an iPhone 4, no chance. It ran beautifully on iOS6 so why ruin it? Which of the new features of iOS7 do you really need (I need none of them), and are they worth the lag and frustration of running the new bloated o/s on old hardware? I recommended to people to update to iOS7 from 7.0.3 .. With reduce motion turned on, everything was perfectly usable for me .. Of course it was slower than iOS6 but the new features and look made up for it ..
7.1 is definitely an improvement in terms of speed but it is still not as fast as iOS6 .. So, it all comes down on deciding what you want the most .. The new features and look of iOS7 or the small difference in speed that iOS6 has .. It may look dated but it works perfectly. There lies the crux of most peoples' complaints. 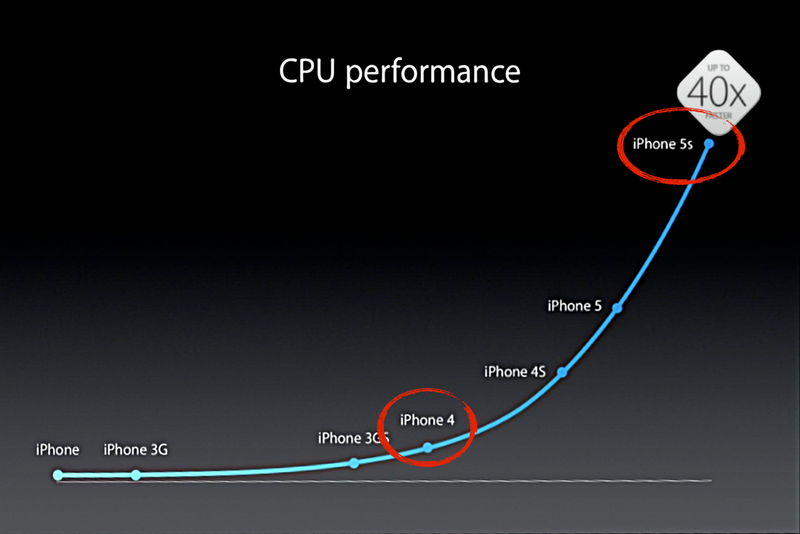 If Apple could make it look more modern AND keep the performance, then there would be no complaints from me. If we take those pictures above into account then I think that it is very unrealistic from us to expect from a phone which is substantially weaker than the new ones to perform equally well on a new OS .. The new UI and features are designed for newer phones than the iPhone 4 .. A small drop in performance is not a reason for complaining in my opinion .. But of course that is totally subjective and everyone is entitled to its own opinion .. 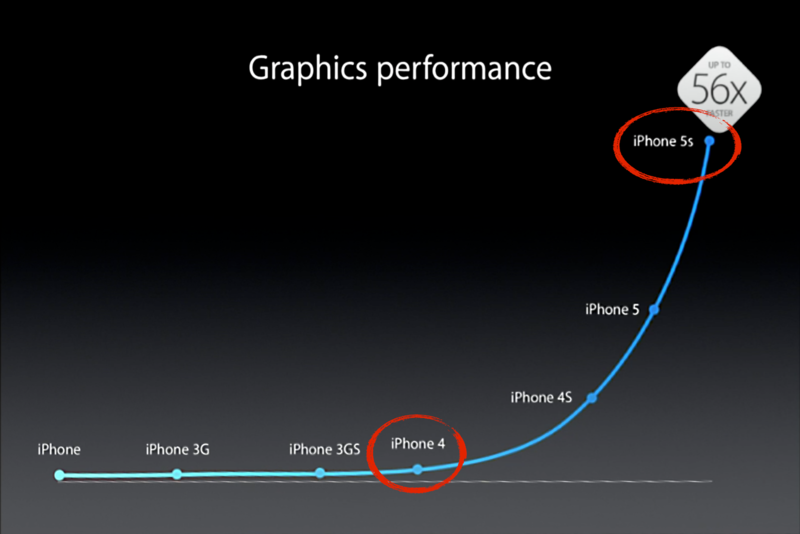 It isn't a small drop in performance though. I've had a play with my dad's i4 (clean install, no other apps apart from those bundled with the o/s), and the lag whilst typing is atrocious. It also takes forever and a day to load up newspaper websites. I couldn't live with it. Sure there's a small improvement over iOS 7.0.6 but it's nothing to write home about in my opinion. Well, in my opinion there is something not right with your dad's install of the OS. I am also using the iPhone 4 and I've used all versions (including betas) of iOS7, and 7.1 is nothing like the others. The lag when typing appears to be gone, opening the multitask view/closing apps no longer stutters. The whole experience is noticeably better. *although still not as good as iOS6* But it is an entirely new OS on the same outdated device, so that's to be expected. Yes, it is to be expected that a new and bloated o/s would be unsuited to an older device. That's why Apple should have left it well alone. He has no apps other than those bundled with the o/s and the device was working perfectly on iOS6. I told him not to upgrade but he did, and has moaned about it ever since. I went from 6.1.3 to 7.1 and I don't regret it. I really enjoy iOS 7 on my iPad and I wanted the features it offers on the iPhone (the flashlight for example, haha) and I think it runs quite well on my iPhone 4. I don't notice any major differences and nothing is "slow" except for when I turn it off and on completely which seems to take a little longer than it did before.